Jennifer Lind’s show ‘A Journey Though American Music’ has a variety of genres and American classics including Folk, Western, Country, Blues, and Pop. This show captures the ever-changing styles of music through the decades. Jennifer was voted 2010 Western Music Female from the Academy of Western Artists, and is a Grammy Voting Member of The Recording Academy. Jennifer says, ” Sometimes music speaks words we cannot express. Playing music is more than getting up on stage and performing…For a short period of time, the audience and I become one”. Sharing that time together is a world within itself, with a language we can ALL understand…. In addition to Lind’s show ‘A Journey through American Music’, she continues to tour with the renowned Folk group ‘The New Christy Minstrels’. Jennifer has put together an amazing collection of Country and Western songs that are snapshots of the true American grit that made this country great. You can practically taste the Colorado dust and feel the sun on your skin as Jennifer sings. The songs are stories of Americana and represent the true “country” philosophy vibrant in the nation today. Whether you are fighting the fight in the urban jungle or driving a big rig down a lonely highway, you will swear you can smell alfalfa hay and saddle leather as you gain a Cowboy State Of Mind. 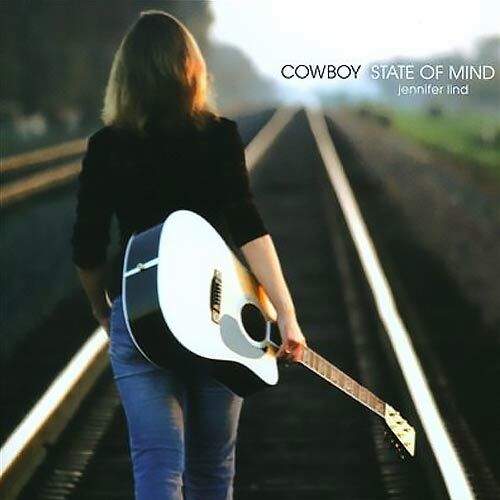 Click To Listen and Purchase "Cowboy State Of Mind"
If the name sounds familiar, you may have heard of the Swedish Nightingale promoted by P.T. Barnum in the 1850’s named Jenny Lind. Jenny Lind was the first touring popular music artist. Barnum invented the game of artist tours, and Jenny Lind was his first such performer. Even though these women were born approximately 142 years apart, they have a few things in common. A passion to sing, a desire to raise money for good causes, and both were born in the month of October.